GROWELL is setting the standards for optimum performance and operation in the Modern blastechnology. 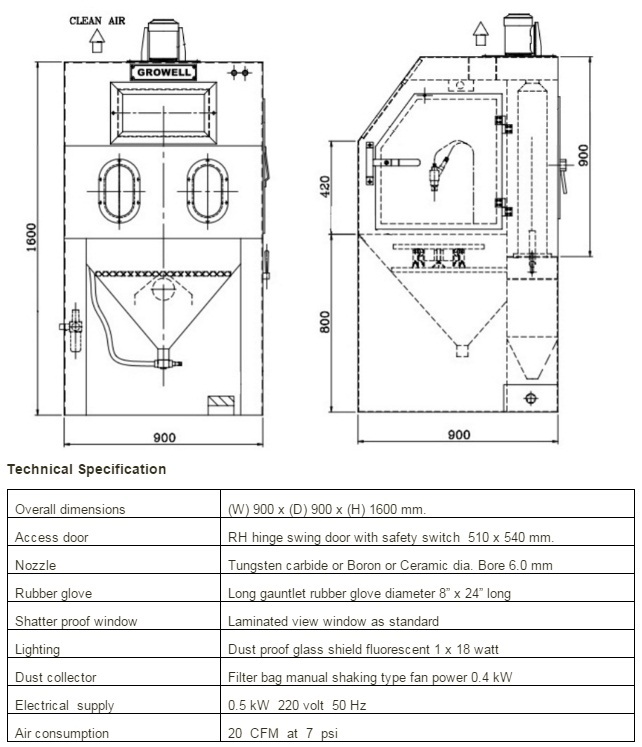 The suction blasting system concept was developed for a flexible, all-around, self contained blast cleaning cabinet. Not only will this machine be required to meet complete in the most competitive market. The suction blasting system is a free standing, pitiless construction and application of advanced components guarantee a perfect system. The only requirement other than abrasive media is a simple power and compressed air connection. All blast cleaning operations are carried out inside the totally enclosed work chamber. All media and stored in the dust collector drum. This complete operation is powered by the fan motor.